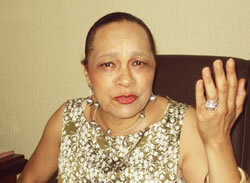 Annkio Briggs, an activist, is the converner of Niger Delta Self-Determination Movement. Briggs, in this piece, speaks on why she is calling for self-determination for her people. You said the Niger Delta wants self-determination and yet you said you want compensation. Can you be fighting for freedom and asking for compensation at the same time? I don’t see the difficulty in what we asking for. Nigeria is being governed according to the 1999 Constitution and whatever we are doing, within the law, is based on that Constitution. What we are demanding for, which the same Constitution guarantees, is our right to demand for those things. In terms of the compensation for the destruction of our livelihood, the Nigerian government, in partnership with oil companies, is responsible. The state governments are not part of this business, it is the Federal Government, in conjunction with the oil companies, that has devastated our region, and whatever devastation they have done, it is important to ask for compensation even as we are demanding for self-determination and the control of our resources. In our requesting for self-determination, ownership of our land and resources is a basic right. We have been demanding for it for years now. So, the two issues are extremely important such that one cannot override the other. This self-determination struggle will give us the opportunity to exercise our right to autonomy or self-government in matters relating to our local affairs, including determination of membership, culture, language, religion, education, information, media, health, housing, employment, social welfare, maintenance of community safety, family relations, economic activities, lands and other natural resources management (onshore and offshore), our environment and entry by non-members, as well as ways of financing our autonomous activities, as this will enable us develop and grow at our own pace without any further interference, under any form, style or guise. It is antithetical for President Muhammadu Buhari, with all due respect, to call for self-determination for the Palestinian people and those of the Western Sahara, on behalf of Nigerians, and to oppose or criminalize the demand for the same self-determination by the indigenous peoples of the Niger Delta. With different agitations, from various groups across the country, including yours, what becomes of the future of this country? I do not know what the future of the country is. But I know what I expect this country should be. I wish all of us, the different ethnic groups that make up Nigeria, will realise that this nation belongs to us and that we should make the changes we want, just as Buhari said we should be the change we want to see. So, we should stop listening to people who say they are bringing change for us. We should determine the change we want. The future I want for Nigeria is the one that ensures we stay together as a country and the different ethnic groups will find space in the country to operate, no matter how small or big they might be. 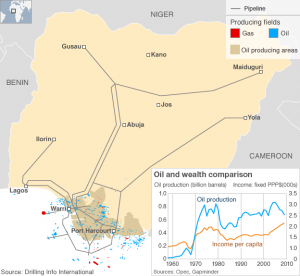 Some of your critics are quick to say that lack of will on your part is responsible for the non-actualization of the the Niger Delta self-determination agitation? I determine what my will is and my behavior will determine whether I lack the will to achieve my action or not. I want self-determination because I am convinced that is the only way to go and that conviction has to be based on something; we were asking for resource control, but now we want resource ownership. The two are totally different. People demand for something and they don’t get it; if what they are demanding for is half a glass full and nobody is listening to you, may be you should demand for a whole glass full. Since 1998 when Ken Saro-Wiwa died, I made up my mind that the Niger Delta people must realize that nobody is going to give us what we deserve, except we agitate for it and insist that we get it. So, if we have a government or group of people that will understand our issues based on our different interests and nationalities, may be Nigeria would have been better than the way it is now. Do you think the implementation of the National Conference recommendations can address some of these national issues including your group’s demand? Yes, I think it will address them. The only thing we didn’t discussed at the conference was whether we wanted to stay united or not. For instance, when you take the issue of local government, it was suggested that it should be autonomous to the state so that you can have 10 or 50 local government areas in your state but your state must fund it, the funding should not be from the Federal Allocation. If the funding for Kano, which has 44 local governments, is coming from state, we know they won’t be able to afford it, but it is done like that because Kano LGs are funded from the federal allocation. If you say the president is trying to get funding for the rehabilitation of the North-east region, some would also say that when your son Jonathan was in power, what did you make of it? It has been said severally that he did nothing for Nigeria, particularly northern Nigeria. However, it is necessary to state that in the area of education, it is on record that former President Goodluck Jonathan introduced the new model of Almajiri system of education in the North when he initiated, constructed and furnished about 124 Almajiri Model Schools through the Universal Basic Education Commission and the Tertiary Education Trust Fund, and handed them over to Adamawa, Borno, Gombe, Bauchi, Yobe, Jigawa, Kaduna, Sokoto, Zamfara, Kebbi, Kogi, Niger, Katsina, Taraba, Nasarawa states amongst others. Even though we, the Niger Delta people, are not known to be associated with any form of Almajiri educational system, the then President Jonathan still built Almajiri schools in our area to accommodate the Hausa-Fulani. It should be noted that Jonathan never built floating and fishermen schools for the people of the Niger Delta who are predominantly fishermen and women, yet the Hausa-Fulani refuse to appreciate his contributions. Still in the area of education, Jonathan created nine new universities and gave the North five. It was also during Jonathan’s era in 2014 that the Food and Agricultural Organization of the United Nations (FAO) acknowledged that Nigeria was the world’s largest producer of cassava with an output of over 45 million metric tonnes, and the giant strides in his agricultural revolution in Nigeria reduced Nigeria’s food importsby over 40%, and moved the country closer to self-sufficiency in agriculture. A contributing factor was the use of mobile phones for the distribution of fertilizer directly to farmers, which ended fertilizer racketeering that had flourished in Nigeria for over four decades. If truly we are governing as one Nigeria, then it should not matter. There are some things that Jonathan did that the North benefitted immensely from that he didn’t do for his people. I do not necessarily agree with people when they say he should have concentrated on his people. The same very people would have accused him of doing exactly that. He purposely didn’t concentrate on his people, and yet he is being accused of it. That is why when people are complaining that the current president was making appointments and putting his people there, I told them that he is doing the exact opposite of what they accused Jonathan of doing. The president says he is doing that for his people first based on how he was voted into power. ‘Those that didn’t vote for me, I care less about them’; now you are complaining. When Jonathan did the opposite, it still was not good. The way Nigeria is, is our fault. We allowed it. If Jonathan had concentrated on the Niger Delta, I expected him to, that was why I said we were disappointed in him. I said it at that time. But he did the right thing because he was not a president of the Niger Delta; in the same manner, Buhari is not a president of his region, he is for Nigeria. That he is now becoming the president of those who voted for him does not mean he is right. So, today, there is nothing to show that we had a son from Niger Delta as president. And that is what Nigeria is saying to us that it was a crime. If indeed we are one Nigeria, should we have expected Jonathan to concentrate his effort on Niger Delta or Nigeria as a whole? What is the difference between your group and Indegenous Peoples of Biafra? From what I gathered, the Biafra people want secession. They want a different country. But we are saying we want self-determination so that we can control our land and take responsibility for whatever comes from there. We can then be paying tax to the Federal Government; we are not breaking up Nigeria, we just want to do for ourselves what nobody will do for us. That is not different from confederation? What is wrong in that? What do we have today? What we have is worse than that. How can the centre take everything and then decide what it feels belongs to you? Whether it is not enough or not, once you have taken your quota for the month, that is it. It is less concerned about what happens to you thereafter. That kind of attitude can never lead the country well. We cannot have cohesion with that kind of attitude. That is why it is very important we begin to recognize that it is necessary to realize we are a country made up of different tongues with different needs at different times. And, therefore, our development will and must be determined by our different interests, not by one person at the helm of affairs at the centre. Government is to serve the people but as far as I can remember, government has always felt that the people are to serve it. What do you make of the crop of ministerial appointments made so far by the Federal Government?